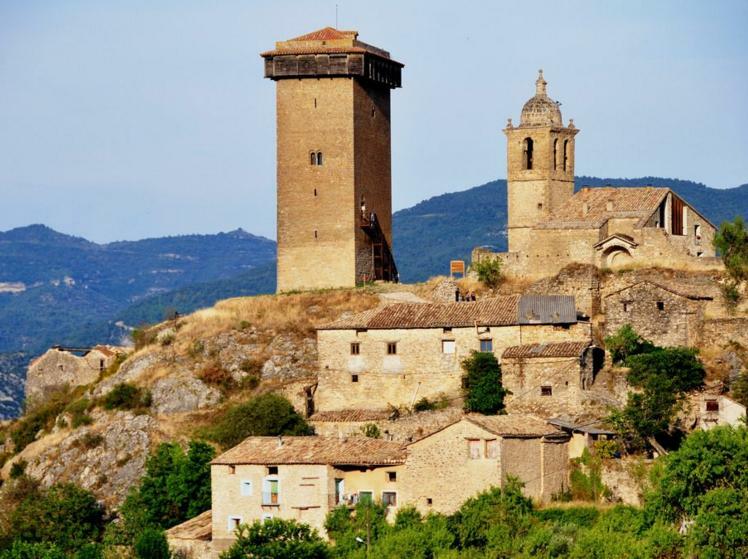 Just after leaving Torreciudad, you will find the small village of Abizanda. It will surprise you due to its skyline shaped by the silhouette of the fortress. It is remarkable the strong Romanesque tower built by Lombard masters. The view from the top will allow you to contemplate the beauty of the shire and the Pyrenees. 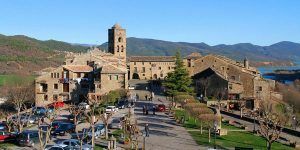 Continuing with the trip, you will arrive to Ainsa, one of the most beautiful medieval villages in the Iberian Peninsula. It has been declared ‘Historic Artistic Set’. The walls that surround the village, as well as its historic side are extremely well preserved. The castle, the cathedral and the square stand out in the monumental area. For a better experience exploring the village, you should walk the streets and squares, eat at a restaurant and let yourself go with the enchantment found in every corner. Close to the border, we arrived to Bielsa, place of departure of countless tours through the valley of Pineta. This town is famous for its Carnival, one of the oldest and most tradition in the Pyrenees. The Pineta Valley is the north east side of the Ordesa and Monte Perdido National Park and one of the most wild but attractive valleys. If you have time, we recommend a visit to the open area where the image of “Virgin of Pineta”, near to the Parador (hotel). This tour goes through a beautiful road with a superb scenery. Once in Bielsa, the bordering town of the Spanish side, we will cross the Bielsa-Aragnouet Tunnel. 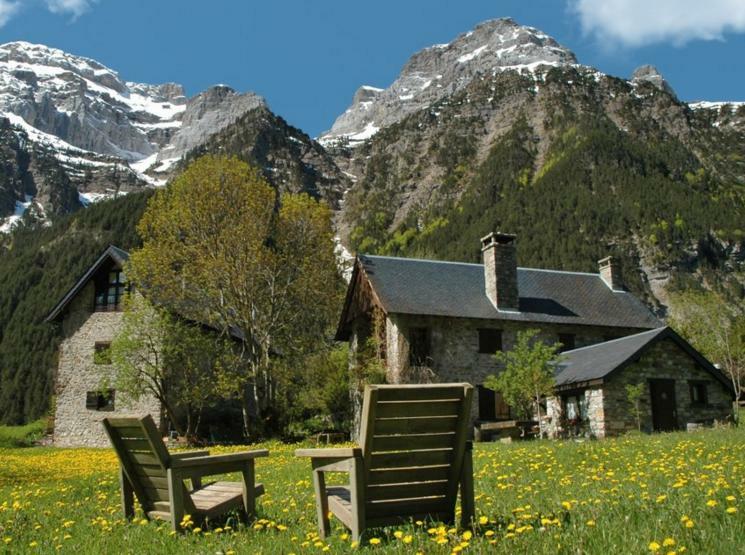 We will go into France, in the middle of the Pyrenees National park that offers and exceptional natural patrimony. The ski resorts of both sides of the Pyrenees (French & Spanish) are an important appeal for the winter sports lovers. As we get to Lourdes, thermal water towns like Bagneres de Bigorre or Capvern les Bains come to our way. We could say that they are their own route within our route: “The Health Spas Route”. 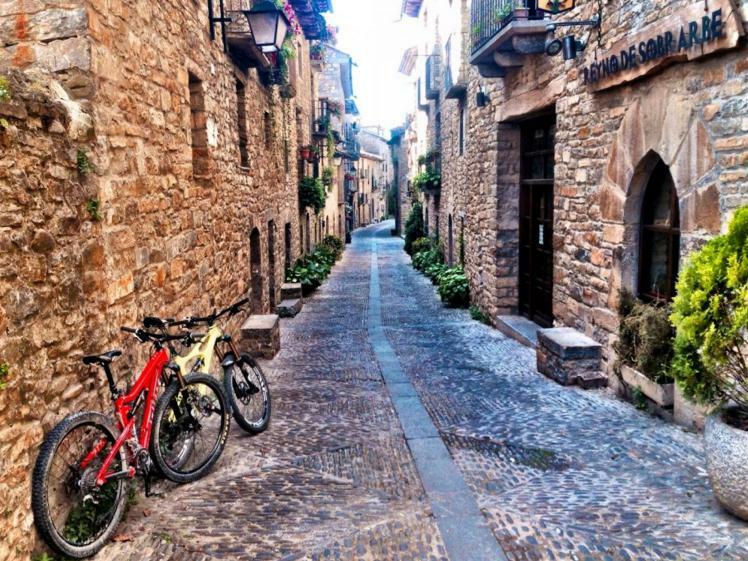 Villages with a splendorous past that even today preserve their enchantment and glamour. The city of Lourdes itself has a reach area of springs and thermal waters. After this beautiful trip, you arrive to the sanctuary.